This album often comes in for lots of criticism, with certain Gentle Giant naming it the first album of the band's downfall. It's incredibly hard to see why. 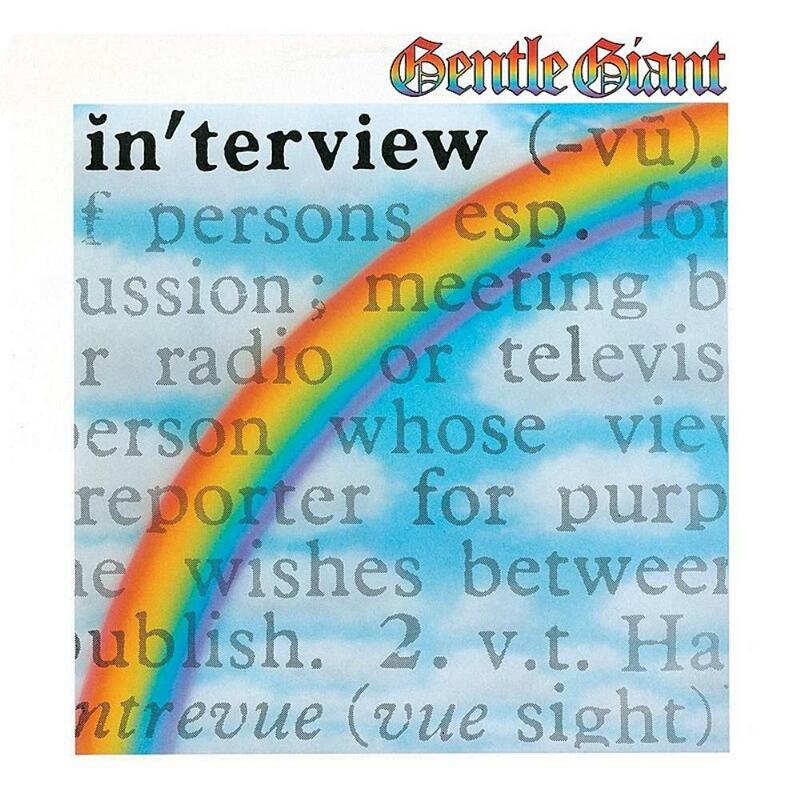 'Interview' has all the hallmarks of classic Gentle Giant, brings in more memorability and focus, and contains some of the most astonishing musical performances in their 11-album catalog. The interview snippets running throughout the album are amusing, a clearly tongue-in- cheek stab at the uninformed, unimaginative interviewers the band surely had to deal with all those years. Once the title track slams in with its aggressively punctuated keyboard-strikes, odd bass line and jabbing drums, it's obvious this is one seriously excellent recording/production job. Everything is crisp and punchy, everything thick and well-layered, yet there's lots of space and air in the sound with excellent separation between the instruments. And the whole is cohesive. And you want odd? You got it. Once the title track hits the four-minute mark, you're treated to a sequence that sounds like it came from the band in the Star Wars cantina. Frighteningly understated polyrhythmic syncopation and a bizarre choice of melodies makes this an early album highlight. "Give It Back" might veer too close to reggae for some, but as with anything they do, GG puts their unique stamp on the style, giving it a strange edge with icy xylophone sounds and a few cosmic fluorishes for good measure. This might be the one song 'Interview' critics point at as the start of the band's downfall, but it would've been a highlight on any of the three forthcoming GG albums. The first side ends with "Design", a freaky alien adventure that centers on various percussive devices and their typically amazing vocal layering. "Design" is something even the most demanding RIO fan would have to applaud. The second side brings us four very solid tracks that veer along with great momentum, bookended by the manic "Another Show" and the repetitive proto-metal riffing of "I Lost My Head". "Empty City" allows the honeyed voice of Kerry Minnear to accent the lead vocal of Derek Shulman, who puts in one of his best-ever performances here. Some wonderful instrumentation glides along a complex arrangement, its complicated structure being one of their most fascinating excursions. And they make it sound so easy. "Timing" is a track that begins simply enough, but the warps into country mode and then into psyche-Beatles mode, and then into that nervous/anxious rhythmic weirdness that is pure Gentle Giant. Which is exactly what this album is. Quintessential GG.